Before meeting Wayne Hart, I thought he was going to be much older than he was – he sounded so confident. He is in fact just over 30, but looks younger. He comes across as a highly organised, focused ardent carver of stone. He is also a typographer and sculptor. Hart grew up in King’s Lynn and spent lots of time with his grandmother who has always enjoyed art, including calligraphy and watercolour. He and his sister would always be drawing, painting and baking when visiting her. He had an early ability in art noted in school and is an example of what you can achieve if you have a long term goal and the will and determination to aim high. Not that Hart’s path to carving has been linear. He originally trained as a graphic designer and completed the BTEC National Diploma in graphic design. It was after that he began to concentrate on lettering and going to Reading University to read typography. Wayne Hart – letter aware from an early age. He has worked with great dedication on carving of letters ever since, but his approach is diverse, he is always seeking ways to add to his skills and knowledge. This summer he will attend a postgraduate course in Roman epigraphy at the British School of Rome, studying Italian inscriptions and the Roman letterform. He won a scholarship to do this from the Harriet Fraser Bursary. He is a role model for anyone wishing to finance their way through college. He has raised over £30,000 (£24,000 was for his apprenticeship) to help finance him through training. With his degree from Reading he met various lettering artists and managed to land three weeks work experience with carver Richard Kindersley at his London studio. He was an apprentice as a carver for three years in Cumbria, studying under Pip Hall. He learnt to draw and carve lettering and continued to practise calligraphy. Carving in wood – another discipline. This time one task meant his embarking on a ‘letter carving in wood’ course with Martin Wenham at the College of West Dean, Sussex. There he worked on signage, memorials, commemorative gifts and also participated in six public art projects. These included thirty carved benches commissioned by Sheffield City Council. “The first year of my apprenticeship was funded by the Lettering & Commemorative Arts Trust. It is the only organisation in this country that champions excellence in the lettering arts. It brings together artists and the public together via training programmes, apprenticeships, events and original commissions,” explains Hart with enthusiasm. He is a trustee of the Manchester Craft & Design Centre. While he was an apprentice he forged links with various important institutions. In 2017 he was commissioned to carry out the lettering on C S Lewis’s memorial, laid out on the floor, of Westminster Abbey. He also undertook the carving of Dame Edith Cavell’s memorial ledger and headstone, just outside Norwich Cathedral, where she is buried: “I carved the edelweiss on her headstone. It was based on the badge she helped to design that her nurses used to wear, “says Hart. One carver commented that he did not enjoy carving Cumbrian Green slate, it was good but a bit ‘glassy’, but Hart enjoys it and he works with it a lot. Hart likes to work with Kilkenny limestone. He abhors granite shipped from China, because he wants to keep his wrists ‘working for a long time’. Granite is very hard to chisel. The monumental masons who sell quantities of granite head stones to the bereaved do so because it is cheap, using sandblasting for lettering mostly. He says that mass produced head stones often have an unsuitable type face for example, Times New Roman (which was designed to be read in a small font for newspaper columns), and the letters are all the same size which is a great constraint. Some examples for Hart’s lettering and style – for all manner of letter work. Hart likes to use local British stone where possible, and Italian marble and alternatives where necessary. Hiring Wayne Hart to carve a memorial would be a luxury for most people, but sometimes the extra can be worth it. He charges per letter, as with any bespoke carving. Bespoke carving for a grave stone is likely to cost in the region of £2,000 – £5,000 upwards. There are a lot of decisions to be made by carver and client, to produce a pleasing finished product that both are happy with. There is the type of stone to consider -granite is value, sandstone is middling, and slate is the most expensive. Grave yard regulations have to be observed, such as height restrictions to tomb stones, stone types and anything out of the ordinary will need to go to ‘faculty’, and can involve a series of ecclesiastical permissions. Then there is the choosing the stone itself and the carving with a choice of many different letter forms. Carvers use letter forms, not typefaces, as all styles are drawn by hand straight from the mind, and even the same style can vary from work to work. “I was greatly influenced by my apprenticeship mentor, Pip Hall. My fluid lettering definitely stems from her,” comments Hart. His style continues to evolve and he enjoys designing fresh lettering styles that fit each brief. “Carving is slow and precise. Funnily enough, it isn’t that likely an experienced carver would make a mistake while carving, like you would when writing a letter for example. If you know what you’re doing you can get out of a mistake, see it coming as it were,” he adds. Hart on slate: it could be a memorial or for a grave. Hart works hard at the business of being a professional carver, he is a natural net worker in a very ‘word of mouth’ profession. He is dedicated to his profession, working from his studio in Manchester. He loves what he does. He says simply, “I want to be an artist”. He must be doing something right as he says he’s always got work and some of it high profile. Happy man, he is at the beginning of many years working away at perfection. According to a study by Marino Bruce, a Vanderbilt University professor and the associate director of the school’s Center for Research on Men’s Health, people who attend worship services may reduce their mortality risk by 55 percent — especially those between the ages of 40 and 65. In the study, Bruce collected data on over 5,000 people, tracking their church attendance along with such variables as socioeconomic status and health insurance coverage. Using this data, Bruce and his team came up with a statistical model to predict risk of mortality. The result? Those who did not attend church at all were twice as likely to die prematurely as those who had attended a worship service in the last year. Everyone with a church that needs repairs would like to land funding from the Heritage Lottery Fund, a grant from the National Churches Trust, or maybe receive a generous legacy. But sometimes, when large sums are needed for a church project, it can pay to think outside the box. One idea, which can be controversial, is selling church land for development. Hilaire Gomer, journalist and volunteer, investigates. The parishioners of two major Anglican churches, St Andrew’s and St Mark’s in Surbiton, have been discussing how to raise funds and improve facilities for at least 20 years. Peter Stokes was parish treasurer for 10 years to 2013. He explains, “A study of the needs of the local community was undertaken in 2003, as a result of which it became obvious that if we were to achieve our aim of serving God by serving the community, we needed to improve our buildings”. But how to find the money? The Victorian parish church of St Mark’s, its steeple on the top of Surbiton Hill a local landmark, had an old church hall which could be pulled down and the land sold. 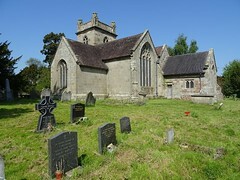 It also had a reasonably-sized graveyard with space for a new church hall and a new vicarage. Developer Shanly Homes offered the best price of £3m for the land. It wished to build 20 luxury flats with balconies and underground parking on the site. These flats came to the market with a price tag of £200,000 – £500,000. At the bottom of Surbiton Hill sits St Andrew’s church. Its old church hall site was redeveloped with affordable housing and a new Scout HQ. In all, the parish spent £5m on improvements for the two churches so that they could provide more for parishioners and local people. For this it gained a new hall attached to the side of St Mark’s church. The old 1950s vicarage (which was in the way of the Shanly build), was pulled down and a new vicarage built on the graveyard. St Andrew’s saw the creation of two new community rooms, one strikingly made of glass and steel. The rooms are used for meetings and available for hire and also provide pre-and after-school child care. The money also financed the refurbishment of both churches. St Andrew’s, a grade II- listed red brick edifice with a tower built in 1874, has a fine organ and is known for its musical events. During 2008 and 2009 St Andrew’s interior was cleaned, revealing striped stone work on its pillars. It was given new staging (the old version collapsed during a concert). It was also given a new magnificent Italian marble floor. A good development – but maybe not so affordable? Many parishioners felt that if you had to have development to refurbish and improve the churches, then the Shanly development was acceptable. There was some dissent about why the churches didn’t think in terms of more affordable housing, rather than the luxury flats that were built. The answer from the project team was that without the Shanly offer the viability of the whole project would have been in doubt. On the whole parishioners accepted that it was OK that “holy ground” was being developed, but the land that Shanly used was not in fact part of the graveyard. St Mark’s new church hall and its new vicarage still has the churchyard surrounding them. The remains of about 100 parishioners from St Mark’s churchyard dating from 1845, whose grave stones had gone, were moved. They were re-interred in Surbiton Cemetery with a new memorial. Another similar scheme took place in Shoreditch, east London. Shoreditch Tabernacle Baptist Church wanted a new building, and the local specialist Mildmay Hospital needed upgrading. So both organisations pooled their land and were able, in this crowded, fashionable part of east London, to work out a big, imaginative scheme. It involved a new church, a revamped hospital, affordable housing and much more. Planning began in 2007 followed by a construction period of 2014-2017. The bill came to £40m. This was partially financed by the building of 139 flats: 31 were social renting, 14 were shared ownership, 69 were privately rented via housing association Genesis Housing Group, and a quarter were sold on the open market. The development made a genuine beneficial difference to the area. Before there were dark unfriendly alley ways, now anyone can walk through – a light, attractive public space. The development is deemed a success because many different needs from different organisations and parts of the community were satisfied, and it provided much needed affordable homes. 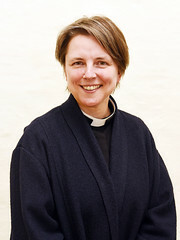 Catherine Townsend, Grants Manager for the National Churches Trust comments, “The future for church funding is quite concerning. With the Heritage Lottery Fund reducing the funds it has available for Places of Worship, churches need to consider alternative ways to raising funds. Clergy, church goers and church lovers want churches to thrive and most accept that some development of church land, if sensitively done, may be needed. Selling a little-used ancillary building is an attractive option for churches. 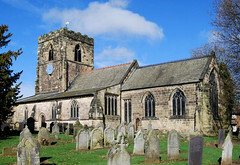 Given that parishes want facilities such as lavatories, meeting rooms, underfloor heating and a general upgrade of their old and not-so-old church buildings, developing church land, especially in the centre of cities, is already happening, and it is likely to be an increasingly popular option. Of course, anything to do with disturbing graves and selling chunks of the actual graveyard can be sensitive. Not surprisingly there is also concern if a church does not consider providing affordable housing in a development. It is impressive to allot 219 pages to a single church – the Temple Church – which has stood between Fleet Street and the River Thames hard by the Inns of Court, London, since the late 12th century. It was built by the Knights Templar as their London headquarters and is characterised by having a round nave modelled on the fourth century Church of the Holy Sepulchre in Jerusalem, and because of that a favourite choice of the Templars for their churches. The Templar Churches round nave beloved of its makers. The book is a collection of nine essays by academics from the universities of London, Oxford, Leicester, Cardiff, York, and Santa Cruz in California. With a chapter each, they trace the evolution of this remarkable church which boasts among other treasures an important collection of 13th-14th century stone effigies. Not surprisingly the church, one of the most important medieval churches in London, has been changed, rebuilt in parts, adapted and refurbished over time, including work by Sir Christopher Wren reflecting changes in the perception of the church’s significance in the 18th century. It underwent a major overhaul in the 1840s. Then came the bombing of May 1941 and the devastating fire that ensued, making extensive re build and restoration necessary. The 109 black and white photographs are interesting, particularly a group taken in 1885 taken by the architectural photographers Bedford Lemere, which give some idea of what the church looked like in high Victorian times. The fact that the book sprang from a conference experts on the Temple church held at the Courtauld Institute explains why it is shaped as it is with versions of the papers presented at the symposium. Some of the Templar Church’s 13th-14th century Knight effigies. Robin Griffith-Jones, Master of the Temple at the Temple Church and David Park professor, Courtauld Institute of Art, are the book’s editors and they also contribute a chapter apiece. The books was partly inspired by the fact that Temple Church has not attracted much literary or scholarly attention to date, despite its importance. This is a book for church and church architecture scholars, there is not much ‘popular’ about it with its ample detail and extensive foot notes. There is little orienteering for the ordinary reader but there is a welcome summary at the very start of the book. However, the lay person interested in the church itself, ancient London churches, the Templars, Wren, Victorian refurbishment and the Blitz – should find it full of information and interest with the text greatly enhanced by a generous number of colour and black and white photograph.